RK Logistics Group, a Silicon Valley leader in third-party logistics (3PL), has teamed up with the City of Fremont’s Community Services Department to provide scholarships for low-income children enabling them to participate in summer recreation programs. The company’s $3,800 charitable contribution will help the city provide scholarships for up to 48 low-income children living within the City of Fremont, funding their participation in summer recreation youth programs that include Aqua Adventure Waterpark. It’s RK Logistics second consecutive year as a program sponsor. The scholarships help underwrite activities including swim lessons for children of low-income families ages 3 to 17, tiny-tot programs, summer camps and art classes, park admission passes and other youth-oriented programming. Children who qualify for the Fremont Unified School District’s school lunch program are eligible to apply for the scholarships. The scholarship program is the latest example of RK’s community support. The company also recently teamed up with the Silicon Valley Leadership Group Foundation to fund the “STEM with Mayor Sam” educational program, with San Jose Mayor Sam Liccardo. This program’s goal is “to inspire scientific curiosity and wonder in students, and to educate parents on the value and importance of STEM education,” in the subjects of science, technology, engineering and math. RK donated $1,000 to help the program expand its outreach. A privately-held minority business enterprise, Fremont-based RK Logistics Group is a growing local company with over 600 employees. 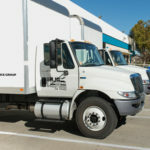 The company operates 14 warehousing centers in the greater San Francisco Bay Area representing nearly 1 million square feet of commercial distribution space for inventory management, manufacturing support and ecommerce fulfillment, including a new, recently opened 50,000 square-foot warehouse in Fremont.